why the archievements did not unlocked? I already did 100% of the Relics, Oufits, Gemstones, but the archievements related to them not unlock! A buddy of mine wanted me to upload his work since he doesn't own this title on steam, but I have his promission to use his videos for this guide and as well he is a contributor for this guide. Lara Croft Go. No comments. 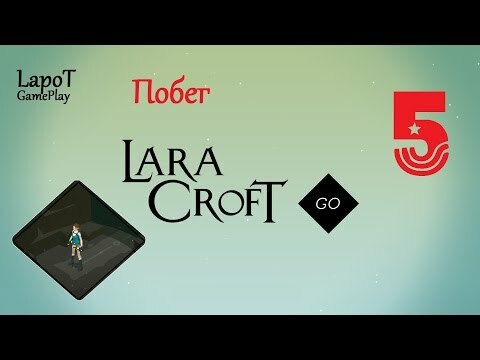 Level 3 "The Maze of Stones"
Lara Croft Go на русском. Уровень 4 "Лабиринт духов"
Guía de puzzles, minerales, reliquias y logros de este juego. If achievments is broken, then you here. Если не работают достижения, то тебе сюда. Lara Croft Go. No comments. Level 4 "The Maze of Spirits"
Lara Croft Go. No comments. Level 5 "The Escape"
Lara Croft Go на русском. Уровень 5 "Побег"
You can get this achievement easily in blue book level 3. Off topic: Where can I purchase Deus Ex GO? Hey guys, the achievements for the gems and the other things to find are not unlocking for me, is it happening to somebody else? Is it possible to play this game with keyboard and mouse? I feel like the joypad controls are very awkward. In particular the parts were you need to move the cursor to a object to pick it up, would be so much better with a mouse, less clumsy.